Purim is here! Send your child at Binghamton University Mishloach Manot. S/He works so hard at school; they deserve some Tender Loving Care. Chabad will deliver a package of sweet and treats in the days leading to Purim day that is guaranteed to make your son or daughter glow with pleasure. Please complete the form below. Please note: Orders for Purim 2018 will be accepted until Friday, February 16th. Yes, we would like to order Mishloach Manot for our child! 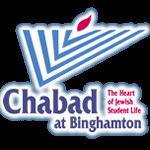 Please note: for students living in the downtown area of Binghamton, packages will be available for pickup at the Chabad Center.